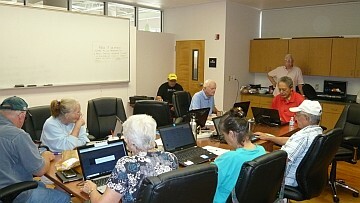 The SCPCUG Learning Center is a place for club members to come and learn in a friendly informal environment. 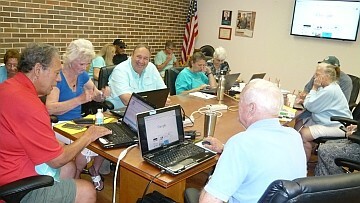 Members can learn about computing, Windows 7 / 8 / 10, surfing the Internet, etc. Subject matter usually is derived from questions brought by those attending. The level of material discussed varies from the very basic to the quite advanced. 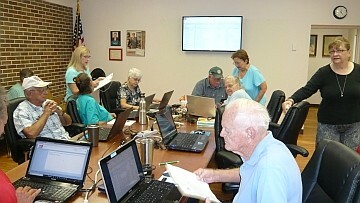 Learning Center Meetings are held on the 1st, 3rd, & 5th Saturday of the month in the Merritt Island Library Conference Room from 12 noon - 3:30 PM. 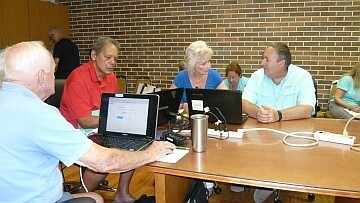 The Merritt Island Library provides plush seating at a conference table, Broadband Internet connection, ceiling mounted HDMI input projector, and a screen. 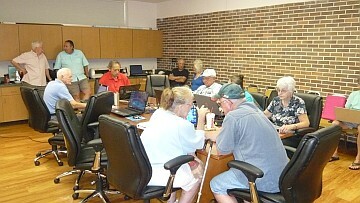 The projector is used to allow everyone to see the subject matter being displayed on the computer. An email is sent to the list of regular attendees on Friday requesting confirmation of intention to attend or not. If there are no confirmed attendees, the session will be cancelled and an email sent to advise of this. If you wish to be included in the notification email list, please let Ron Ingraham know at ringram28@cfl.rr.com. Those of you already on the list should be aware of who you are. 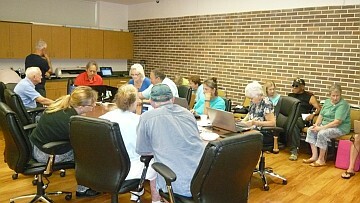 Learning Center Meetings are based on the principle that we know more collectively than we know individually. This is the true example of Users Helping Users. At least one hour of each meeting is intended for very basic material. No question is too simple to ask. If you want to learn about your computer, this is the place! Please contact Ron Ingraham for more information.